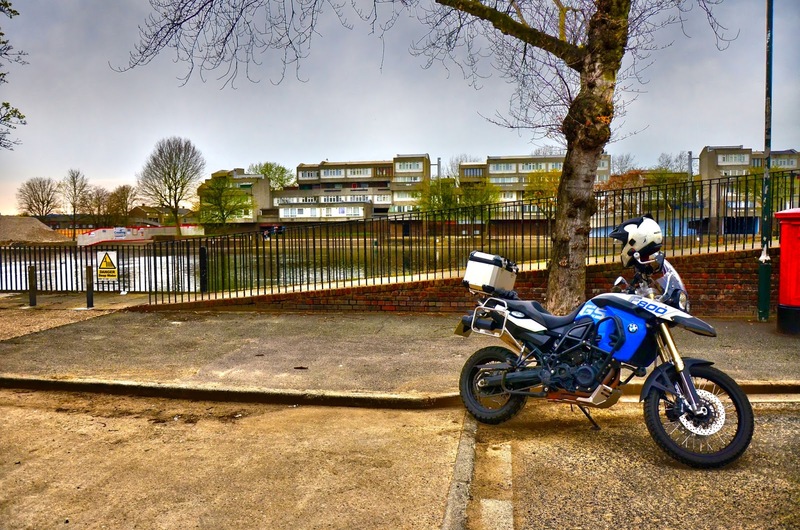 Not a stunning mountain vista or desert scene—but Thamesmead's Southmere Estate, a misguided symbol from the 60s of what the future of housing would be in London. The vision of the architects was to encourage contact among neighbours to build communities with artificial lakes and bridges connecting the buildings—however, the reality was the bomb shelter bunker-style concrete structures had so many dark, hidden corners that residents were often mugged and/or raped and their vehicles vandalised and stripped. Compounding the isolation, for many years there were no shopping areas apart from a handful of corner shops. It has been used as a location for several films including A Clockwork Orange and Beautiful Thing. Today it is much safer—although many of the flats sit empty—and the residents who remain have personalised their flats and decorated the estate with artwork which can be seen throughout. There are also two ponies who permanently reside in one of the surrounding greens. I left feeling somewhat distressed about how this place went so wrong—but it was heartening to see the pride shown by the residents, making Southmere Estate their own.